Respected worldwide as one of the top mavens of proper etiquette and international protocol, Cynthia Lett is one of the few Certified Etiquette Professionals (CEP) and Certified Protocol Professionals (CPP) earned by examination through the International Society of Protocol & Etiquette Professionals (www.ispep.org). Ms. Lett has been the principal of The Lett Group since 1983 as a trainer in Business & Social Etiquette, Business & Social Entertaining, International Protocol and Executive Communications Skills. She has been a program speaker and coach around the world - teaching and advising on these subjects. Currently she consults with major international corporations, leading universities and eleven governments. As former Chief of Protocol for MCI Telecommunications Corporation, she has taught the course for Business Protocol at The Elliott School of International Affairs, The George Washington University for eight years. She also offers private and corporate consultation and programs on the power skills necessary to compete in the international business arena. She has trained 165 professional etiquette teachers worldwide. Ms. Lett maintains a blog covering the pertinent subjects of etiquette and protocol on her main webpage, www.lettgroup.com. Her popular tele-seminar series – The Savvy Professional -covers advanced topics of proper etiquette. Her book, That’s So Annoying! – An Etiquette Expert’s Take on the World’s Most Irritating Habits and What To Do About Them (Skyhorse Publishing) was released July 27, 2009. A second edision of the book will be released January 2, 2014 titled Modern Civility. Mission Possible with Brian Tracy and Stephen R. Covey (Inscape Publishing) was released in 2006. Professionally, Ms. Lett is the founder of and serves as Executive Director of the International Society of Protocol & Etiquette Professionals headquartered in Washington, DC. 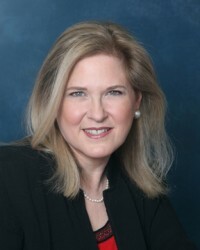 She is an active member of the National Speakers Association, American Society for Training and Development; Women Business Owners; Professional Convention Management Association; and past member of the American Society of Association Executives; Foundation for International Meetings (Board of Governors 1986-1987) and Meeting Professionals International. She was elected into Who's Who of American Women; Who's Who of Advertising Executives;2000 Notable American Women;Who's Who of the World's Women;Who;s Who of U.S. Executives and Who's Who of the World. She has been featured and quoted in publications such as the New York Time, Washington Post, Washington Times, Newsweek, Time, Crane's Business, Washington Business Journal;Gazette Newspapers, USA Today,Entrepreneur,Successful Meetings, Meetings and Conventions, Convene, Meeting News, Business Travel News, The Wall Street Journal, The Robb Report, Harvard Business Review, Training and Development Journal, Ohio Business Review, ASAE Magazine,CIO Magazine and others. She has extensive on-air experience as a frequent guest on PBS, MSNBC, CNN, Fox Business News, Fox News, Retirement Living Channel, Fine Living Channel, and numerous radio shows worldwide.